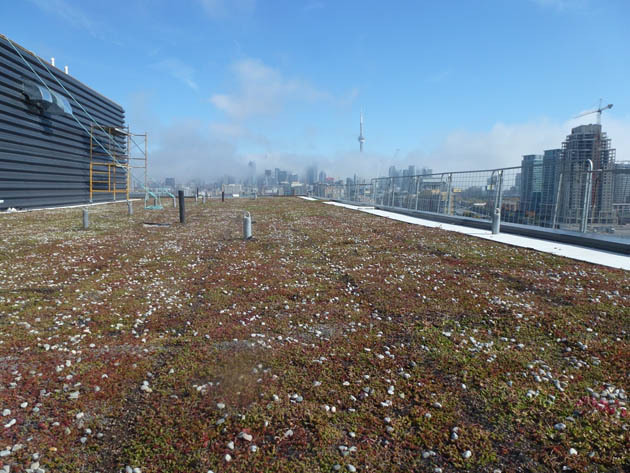 “There aren’t very many yet in the city,” says Art Condos architect, David Oleson, “but there will be more and more of them.” David is of course, referring to Art Condos’ own green roof. 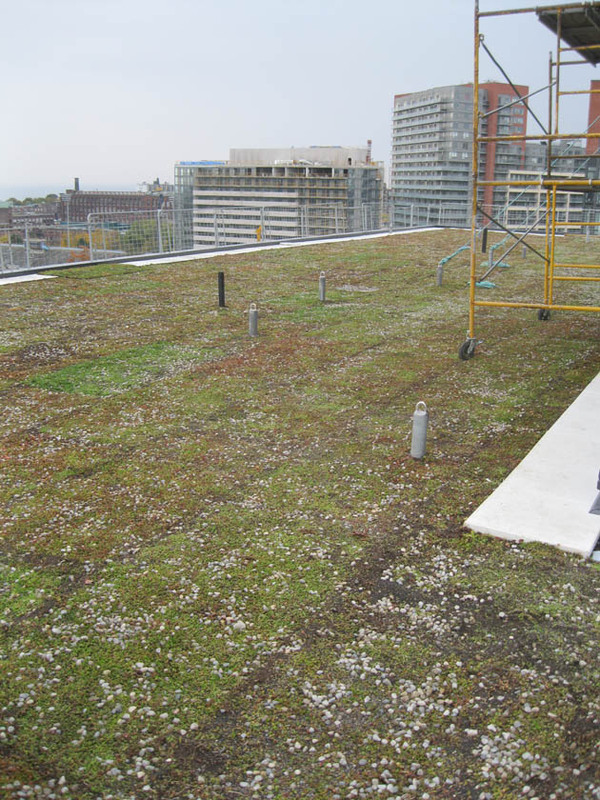 A roof composed of hardy, sustainable, vegetative ground-cover. 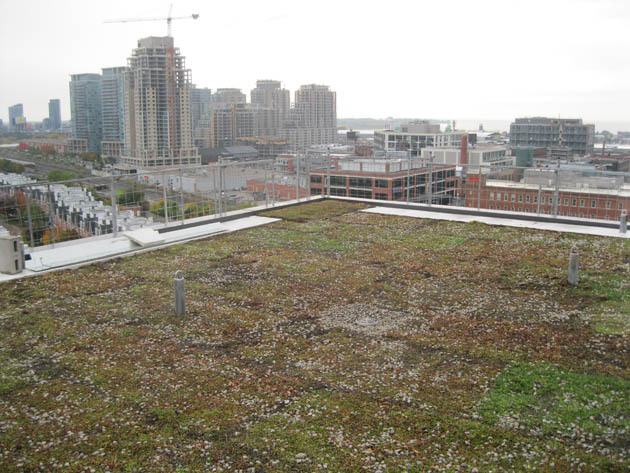 While a green roof is not exactly a garden, It is a powerful aid in the environmental wellbeing of both the building and the city at large. 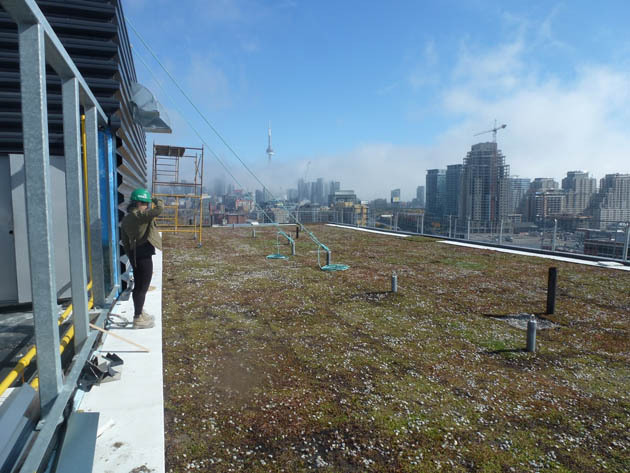 “The green plant material is Sedum, and it’s very hardy. 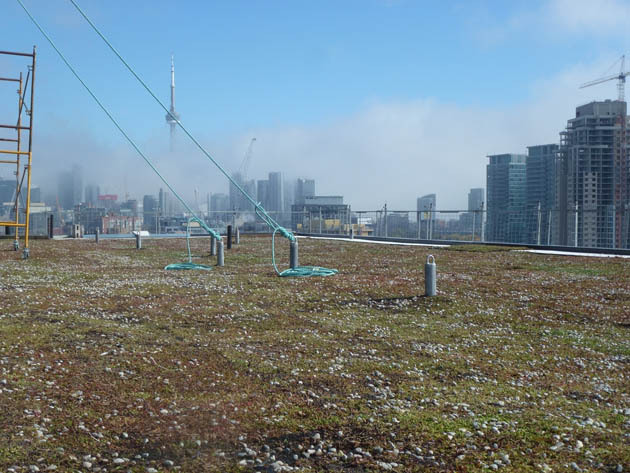 There has to be a source of water for it during this first year of its planting, but after that it’s pretty much self-sustaining.” David believes that in the very near future, sky-gardens will become both desirable and inevitable as part of a growing cityscape. is from ART Condos architect, David Oleson. 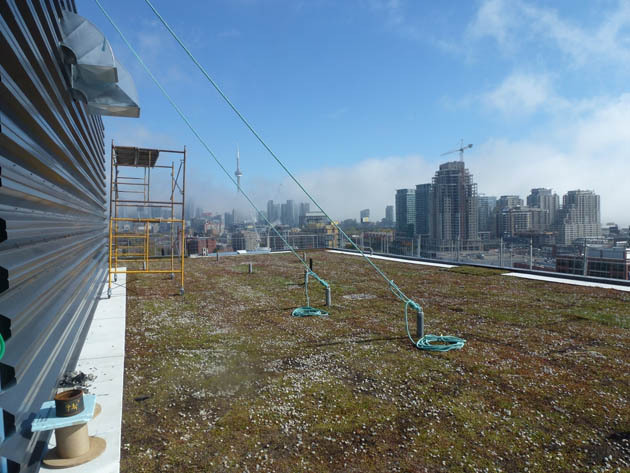 Musing about the roofs of the ART Condos – the ‘fifth facade’ of the project. You can’t say that we don’t make good use of all opportunities.